We went to a movie premiere! 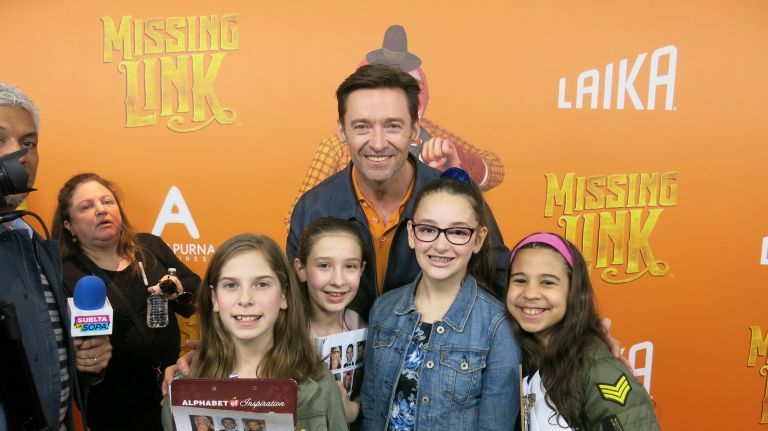 We saw “Missing Link” and we also were able to stand on the red carpet and not only meet but ask questions of many of the stars of the film. The red carpet experience is loud, with lots of bright lights and media. We were all a little scared but also so excited. We met a lot of the stars from the film, from Carter Burwell, who composed the musical score, to the producers and then many of the stars including Hugh Jackman who voiced Sir Lionel Frost and Zoe Saldana (Adelina Fortnight), Timothy Olyphant (Willard Stenk), Amrita Acharia (Ama Lhamu), and Zach Galifianakis who stars as Mr. Link. One by one, they came over and talked to us about their role in the film and other things. The first person we met was the composer Carter Burwell. Carter liked meeting us and told us that he is from Long Island, too. He lives in Amagansett. We asked Carter about his favorite things to compose and how difficult they were. He told us the most difficult thing to compose in this film was the suspenseful music leading to the climax and his most favorite was the mood music. We loved the music in this movie and how it helped bring the story to life. We also spoke to Carter again after the movie and have to say we are proud he is from New York.